Two new Qwiic boards to help you connect with I2C, and three new rotary potentiometers! Hello and welcome, one and all, to another new, product-filled Friday Product Post! Today, we have five new products for you, including two new Qwiic boards – a distance sensor breakout that utilizes the RFD77402 chip, and a new version of the MMA8452Q triple axis accelerometer. On top of those two little boards, we've also expanded our rotary potentiometer options with a linear version and two logarithmic versions. Without further ado, let's take a closer look at the new products for this week. Nate is here to tell us more! Nate's back to tell you more about the SparkFun Qwiic Connect System! This breakout board makes it easy to use the tiny MMA8452Q accelerometer to communicate over I2C in your project. The MMA8452Q is a smart, low-power, three-axis, capacitive MEMS accelerometer with 12 bits of resolution. This accelerometer is packed with embedded functions with flexible user programmable options, configurable to two interrupt pins. Embedded interrupt functions allow for overall power savings, relieving the host processor from continuously polling data. 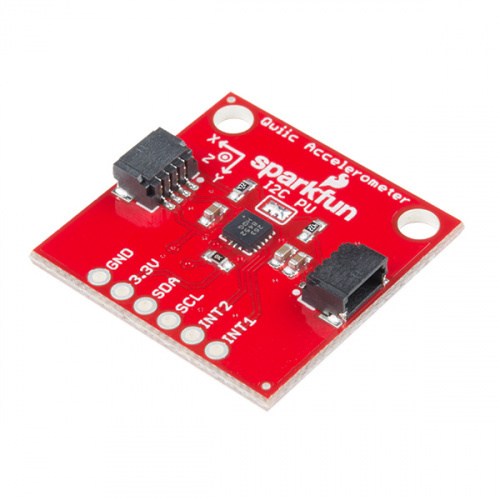 This version of the SparkFun Triple Axis Accelerometer Breakout includes pre-soldered Qwiic connectors for rapid prototyping and better ease of use. With the connectors already soldered on, you can jump right into using this little board without any assembly! 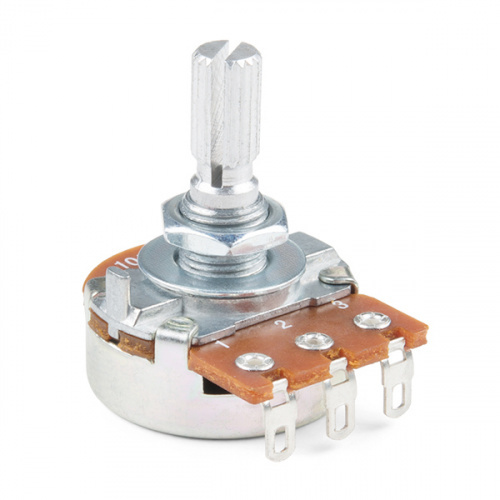 An adjustable potentiometer can open up many interesting user interfaces. With this rotary potentiometer, just turn the dial and the resistance changes. 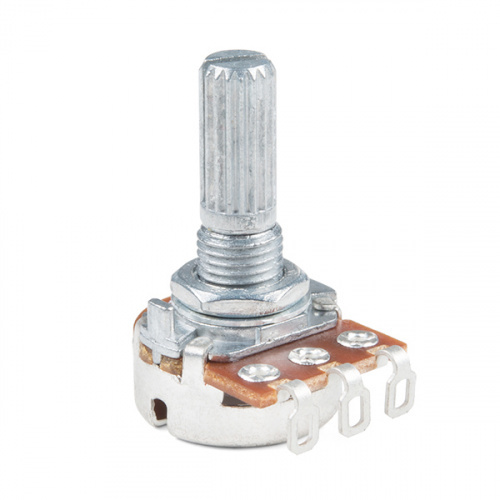 This potentiometer has a 0.25" metal knurled shaft diameter, solder lug terminals, no detents, and has a 100K linear taper. 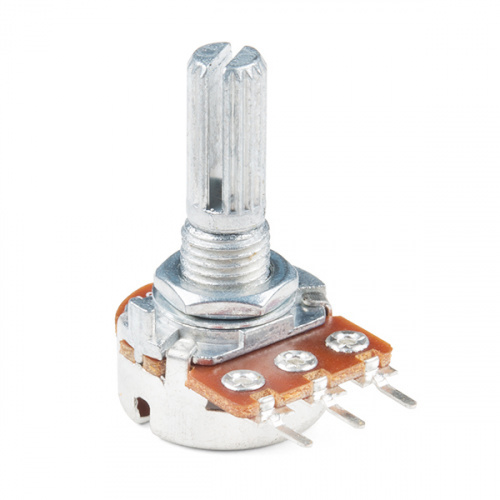 This rotary potentiometer is VERY similar to the one above, but this version has a 100K logarithmic taper instead of linear, as well as PC pins instead of solder lug terminals. Last up today is one more rotary potentiometer. This is the big 250k Ohm, logarithmic pot, ideal for more heavy duty projects and situations. And that's all for this week, ladies and gentlemen! As always, we can't wait to see what you make with these products! 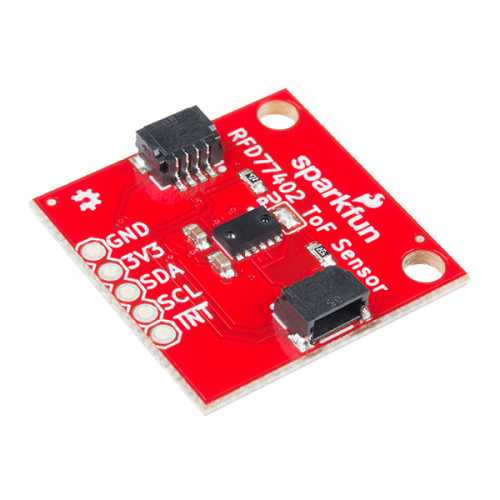 Shoot us a tweet @sparkfun, or let us know on Instagram or Facebook. We’d love to see what projects you’ve made! Thanks for stopping by. We'll be back next week with even more fantastic new products! It appears that the RFD77402 used on the distance sensor breakout is obsolete (according to Digi-Key and Mouser anyway). Are you aware of this and if so do you have any suggestions for a drop in replacement in the future? The Qwiic distance sensor looks cool but it never mentions the area that it will scan at a given distance (spread). I love the Qwiic distance sensor the and accuracy. Can you make one that will measure up to 5 meters at about 2mm accuracy? I REALLY need one capable of measuring at that distance.